Imagine a conversation in which well-meaning skeptics try to deconvert you from Christianity by debunking the prosperity gospel. They marshal their evidence, tell some stories that horrify you as much as them, quote the most egregious theological howlers you’ve ever heard, and then conclude that the message of Jesus can’t possibly be true. If you’ve ever had such an experience—and pastors of charismatic churches, like me, do occasionally—you’ll know how frustrating it is. Everything in you wants to reply: I don’t hold to that type of Christianity either. I probably disagree with it more than you do. Now imagine a second scenario. You’re an atheist, and you have the same problem. Well-meaning Christians tries to convert you to Christianity by debunking the “new atheism.” They go into great detail about how Richard Dawkins is historically ignorant, Sam Harris morally incontinent, and Christopher Hitchens logically incoherent—and then conclude that atheism can’t be true. And you’re sitting there thinking, I don’t hold to that type of atheism either. I probably disagree with it more than you do. Farrar, Straus and Giroux (2018). 176 pp. $25.00. John Gray—veteran British philosopher, intellectual historian, and book reviewer—has no intention of converting anybody. But his Seven Types of Atheism is a searching and helpful taxonomy of unbelief ancient and modern, and it has the potential to make the second of these two scenarios disappear altogether. By carefully disentangling the different ways atheism works, and the different reasons why people find it compelling, he has done a great service not just for atheists who want to be understood but also for Christians who want to understand. The seven types of atheism, for Gray, are as follows. In a manner reminiscent of Christianity’s most ebullient defenders, Gray waves away this recent movement as a “discredited theory,” and concludes that “the organized atheism of the present century is mostly a media phenomenon and best appreciated as a type of entertainment.” Given that this is the variety of atheism that gets the most apologetic attention, this is worth noting. “Partisans of revolution, reform and counterrevolution think they have left religion behind when all they have done is renew it in shapes they fail to recognise.” This, for Gray, results from a fusion of Gnosticism and Christianity; humans can be delivered from the darkness through knowledge (Gnosis), but this can happen within this world, through a collective, terrestrial, imminent, and total renewal (Christianity). We’re dealing here with millenarian movements, even if they mostly take place without reference to God. Every generation has its God haters, but the modern age has seen more than most. In his longest chapter, Gray explores the misotheism of the Marquis de Sade, several of Dostoevsky’s characters, and William Empson (whose Seven Types of Ambiguity stands behind Gray’s choice of title). In each case, he concludes, this kind of atheism doesn’t so much reject God’s existence, but vehemently hates him in a way that that could only exist (at least in this form) as a response to Christianity. This is the least cohesive of the seven “types,” at least to me, and (as the chapter title suggests) it’s more defined by what it’s not—breezy, neo-Christian, world-making, progressive liberalism—than by what it is. This, from what I have read of Gray elsewhere, is the type of atheism he most sympathizes with—which may also explain the more anecdotal, reflective, and slightly nebulous flavor of the chapter. It doesn’t seem like Arthur Schopenhauer, Benedict Spinoza, and Lev Shestov have much in common, but for Gray, they share what he calls “the atheism of silence.” Mysticism is a provocative word for this view, but then “a clear line between atheism and negative theology is not easily drawn,” and there is more overlap than would first appear between heretical Christian mystics like Meister Eckhart (1260–1328), who prayed to God to rid him of the idea of God, and atheist mystics like Schopenhauer (who found the transcendent in music) and Spinoza (who found it in nature). Or so Gray argues. These seven types aren’t uncontroversial. 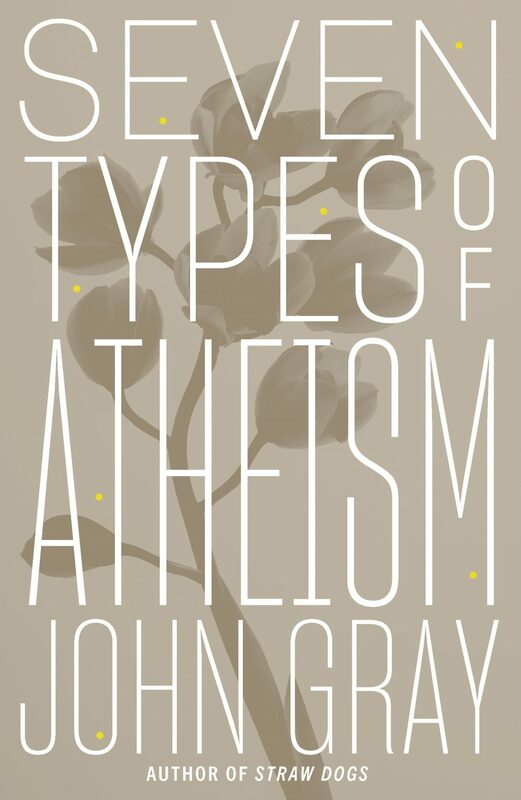 Gray is personally drawn to a combination of types 6 and 7, freely admits to finding the “new atheism” vacuous and uninteresting, and is “repelled” by the others, so there is plenty here for his fellow atheists to disagree with (not least his colleagues at the New Statesman, a British magazine that is a near-perfect instantiation of type 2). His sixth category is vague and could potentially have been clarified through an exploration of its connections (if there are any) to ancient philosophies like Epicureanism and Stoicism. There are also problems with Gray’s portrayal of early Christian history, including a variety of errors in translation (the word eschaton means “end,” not “day of the Lord”), theology (“in the religion of Jesus, pretty much all of Christian belief is absent”[! ]), and history (where he seems to have swallowed Catherine Nixey’s wild, Gibbonesque polemic in The Darkening Age, despite its numerous distortions). So there is plenty here to annoy Christians as well. Contemporary atheism is a continuation of monotheism by other means. Hence the unending succession of God-surrogates, such as humanity and science, technology and the all-too-human visions of transhumanism. But there is no need for panic or despair. Belief and unbelief are poses the mind adopts in the face of an unimaginable reality. A godless world is as mysterious as one suffused with divinity, and the difference between the two may be less than you think. With foes like this, who needs friends? Andrew Wilson is the teaching pastor at King’s Church, London. He’s the co-author of Echoes of Exodus: Tracing Themes of Redemption through Scripture (Crossway, 2018) and The Life We Never Expected: Hopeful Reflections on the Challenges of Parenting Children with Special Needs (Crossway, 2016). You can follow him on Twitter.